Well, the blog really got neglected over the holidays, didn't it! 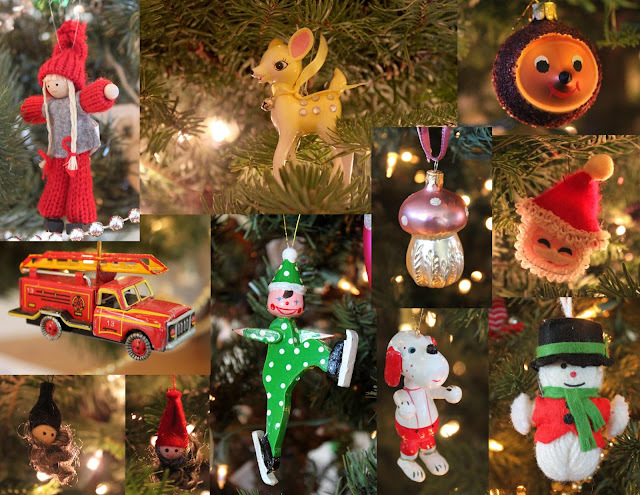 Since we took down the tree and are putting away the decorations, I thought I'd post some of my favorite ornaments. A tree and a wee, I made this little decoration years ago using this freebie pattern from Wee Wonderfuls, which is probably the blog I've been reading longer than any other. 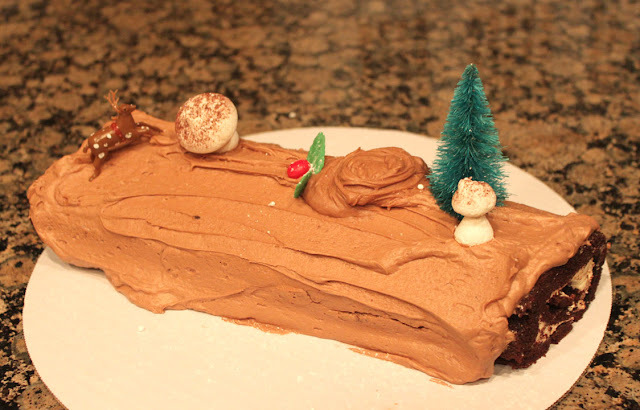 And, a yule log! My mom ordered way too many, but very cute and tasty desserts for Christmas, and this was my favorite. 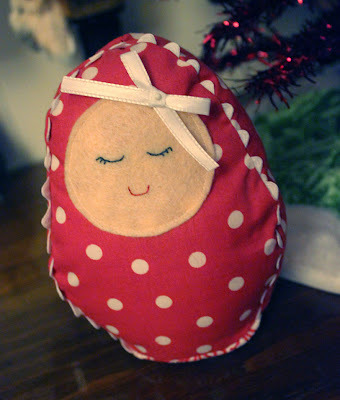 Even though the tree is gone, I saved 2 bowls of pine needles to make sachets. 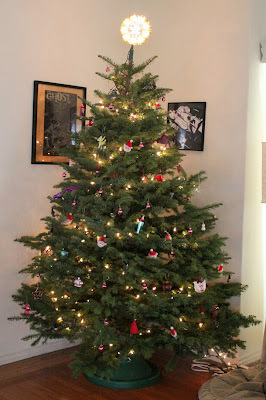 Our tree this year smelled amazing and I was sad to part with it for that reason more than any other, so I'll be happy to keep the smell around even after all other evidence of Christmas is gone.